Admiral Richard Mies, at that time the commander in chief of Stratcom, has described how Global Guardian was proceeding when the 9/11 attacks took place. He said Stratcom had been "ready to respond to a potential attack from a hypothetical adversary. ... We had intelligence indicating that they were preparing to attack us." Stratcom was positioning its forces "to be ready to offer the president the ability to respond in a wide variety of ways. A lot of our command and control systems that, in peacetime, are normally not on alert were at a much, much higher state of alert and we had a number of aircraft, manned control aircraft that were airborne that were simulating their wartime roles." Preparations underway in the exercise included "elevating our readiness status to a heightened state of readiness," "preparing bombers to potentially launch, if required," and "getting submarines that were in port ready to go to sea." We need to investigate how much confusion military personnel experienced because they were preparing for a simulated attack on America at the time an actual attack on America took place. We already know of some instances of confusion caused by the exercises. For example, when Lieutenant General Thomas Keck, the commander of the 8th Air Force at Barksdale Air Force Base, who had been monitoring the Global Guardian exercise, was told a plane had crashed into the World Trade Center, he initially thought this was a simulated scenario. He therefore told the junior officer who had brought him the news: "That's not the way you interject a situation into a training exercise! When you have a scenario injection, you say, 'Sir, this is an exercise input,' and then you give me the information." The causes of this "information void" surely need to be investigated. Might it have been the result, at least partly, of an attack on military communications systems that was incorporated into one (or more) of the exercises that day? Some actions carried out on September 11 have been reported as if they were responses to the terrorist attacks, but evidence suggests they may actually have been conducted as part of an exercise, or at least perceived within the military as being part of an exercise. Two such actions, described below, are the closing of the blast doors to NORAD's Cheyenne Mountain Operations Center and the order to raise the military's alert status to Defcon 3. If these actions were connected to the exercises taking place that day, it would raise further questions about how much confusion was caused by these exercises, and would indicate that the exercises continued even after it became obvious the U.S. was suffering a major terrorist attack. The time the blast doors were closed at is unknown, although a BBC documentary placed the event at 10:15 a.m. The reason they were shut is also unclear. 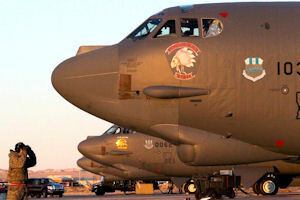 A number of reports suggested they were closed in response to information the CMOC received about an aircraft that was incorrectly thought to have been hijacked and targeting Cheyenne Mountain. However, as the Regina Leader-Post pointed out, "Protected by 2,600 feet of granite, the NORAD command center and hundreds of personnel in their green flight suits were actually in the safest place in North America." The CMOC was therefore already safe against an aircraft crashing into the mountain. It is worth considering if there was a different reason why the blast doors were shut. Might they have been closed as part of one of the exercises? Vigilant Guardian and Global Guardian both involved simulating a nuclear war. And since the doors were designed to protect the CMOC from a nuclear strike, it would seem logical that they might be closed during an exercise simulating a nuclear attack on the United States. Myers told the 9/11 Commission that the reason for going to Defcon 3 was "to improve our readiness and protection of our forces worldwide." But evidence suggests that the order might have had some connection to the exercises taking place that day. Might the EAM on September 11 therefore have been issued in relation to Vigilant Guardian and/or Global Guardian, rather than in response to the real-world attacks? Or could there have been confusion within the military that this might have been the case? WERE THERE OTHER 'PRACTICE ARMAGEDDON' EXERCISES ON SEPTEMBER 11? Ken Merchant in fact told the 9/11 Commission that Apollo Guardian had been "running on September 11, 2001." Whether Crown Vigilance and Amalgam Warrior were also being conducted that day is unknown. And no details have been revealed about these exercises, such as what they involved, what simulations they included, who exactly participated in them, and--if they were taking place on September 11--what effect they had on the military's ability to respond to the real-world crisis. Clear the Skies. BBC, September 1, 2002. William M. Arkin, Code Names: Deciphering U.S. Military Plans, Programs, and Operations in the 9/11 World. Hanover, NH: Steerforth Press, 2005, p. 545; "NORAD." The Early Edition, CBC, September 8, 2011; Tom Roeder, "Inside the Mountain: Rumor of a Threatening Jet Fed Tension." Colorado Springs Gazette, September 10, 2011. "Vigilant Guardian 01-2." Northeast Air Defense Sector, August 23, 2001; "NORAD." Jason Tudor, "Inner Space." Airman, March 2002; "NORAD." "Memorandum for the Record: Interview With Major Paul Goddard (Canadian Forces) and Ken Merchant." 9/11 Commission, March 4, 2004. "Memorandum for the Record: Interview With Major Paul Goddard (Canadian Forces) and Ken Merchant." Thomas Doscher, "In Their Own Words--NORAD Members Recall September 11: Jeff Ford." Defense Video & Imagery Distribution System, September 8, 2011. Rita Clark, Vincent A. Giroux Jr., and Todd White, History of the United States Strategic Command, June 1, 1992 - October 1, 2002. Offutt Air Force Base, NE: Command Historian's Office, United States Strategic Command, January 2004, p. 50; William M. Arkin, Code Names, p. 59; "Global Guardian." GlobalSecurity.org, May 7, 2011. Joe Dejka, "When Bush Arrived, Offutt Sensed History in the Making." Omaha World-Herald, September 8, 2002; Bill Kelly, "Military Insiders Tell of Bush 9/11 Visit for the First Time." NET Radio, September 1, 2011. Nuclear Weapon Systems Sustainment Programs. Washington, DC: Office of the Secretary of Defense, May 1997; William M. Arkin, Code Names, p. 378. Exercise Global Guardian 2001-2 Joint After-Action Report. United States Strategic Command, December 4, 2001, p. A1. William M. Arkin, "The Beat Goes On." Bulletin of the Atomic Scientists, November 1, 1997. Bill Kelly, "Rumsfeld Reflects on Offutt Air Force Base Role on 9/11." NET Radio, August 30, 2011; Bill Kelly, "Military Insiders Recall Bush's 9/11 Stop at Stratcom." NET News, September 7, 2011. Eric Schmitt and Thom Shanker, Counterstrike: The Untold Story of America's Secret Campaign Against Al-Qaeda. New York: Times Books, 2011; Bill Kelly, "Military Insiders Tell of Bush 9/11 Visit for the First Time." Exercise Global Guardian 2001-2 Joint After-Action Report, pp. A6-A7. Stephen Buttry, "Final Words, Final Hours Before All Changed." Omaha World-Herald, September 10, 2002. Mario Villafuerte, "Practice Becomes Reality Within Minutes." New Orleans Times-Picayune, September 8, 2002; J. J. Green, "Confusion in the Air, Terror on the Ground." WTOP, September 6, 2011. Exercise Global Guardian 2001-2 Joint After-Action Report, p. A2. William M. Arkin, Code Names, p. 379. Bill Kelly, "Military Insiders Tell of Bush 9/11 Visit for the First Time." Exercise Global Guardian 2001-2 Joint After-Action Report, p. A4. Eric Schmitt and Thom Shanker, Counterstrike; Bill Kelly, "Military Insiders Tell of Bush 9/11 Visit for the First Time." Gregory A. Freeman, "Code Alpha: The President is Coming!" American History, October 2006. Stephen I. Schwartz (Editor), Atomic Audit: The Costs and Consequences of U.S. Nuclear Weapons Since 1940. Washington, DC: Brookings Institution Press, 1998, p. 210; "E-4B National Airborne Operations Center." Federation of American Scientists, April 23, 2000; Joe Dejka, "Inside Stratcom on Sept. 11 Offutt Exercise Took Real-Life Twist." Joe Dejka, "Inside Stratcom on Sept. 11 Offutt Exercise Took Real-Life Twist." Gregory A. Freeman, "Code Alpha." Scott Simmie, "The Scene at NORAD on Sept. 11"; William B. Scott, "Exercise Jump-Starts Response to Attacks." Aviation Week & Space Technology, June 3, 2002; Pam Zubeck, "NORAD Chief Will Testify at 9/11 Hearing." Colorado Springs Gazette, June 14, 2004; "In Their Own Words--NORAD Members Recall September 11, Part 3: Steve Armstrong." Pat McKenna, "The Border Guards." Airman, January 1996; "Facts About Unusual Aspects of NORAD." Colorado Springs Gazette, May 10, 2008. Scott Simmie, "The Scene at NORAD on Sept. 11"; William J. Astore, "Leaving Cheyenne Mountain." The Nation, May 5, 2008. Ibid. ; Pam Zubeck, "NORAD Chief Will Testify at 9/11 Hearing"; T. R. Reid, "Military to Idle NORAD Compound." Washington Post, July 29, 2006. Will Chabun, "Regina Airport Authority's CEO Recalls NORAD on 9/11." Regina Leader-Post, September 12, 2011. Pat McKenna, "The Border Guards"; "NORAD to Patrol Skies Over NYC During Convention, Anticipates Attack on U.S. Before Election." Reuters, August 25, 2004; John Hazlehurst, "Opening Cheyenne Mountain Could be Tourism Boom." Colorado Springs Business Journal, February 2, 2007. Will Chabun, "Regina Airport Authority's CEO Recalls NORAD on 9/11." William J. Astore, "Leaving Cheyenne Mountain." Dan Balz and Bob Woodward, "A Day to Speak of Anger and Grief." Washington Post, January 30, 2002; 9/11 Commission, The 9/11 Commission Report, p. 326; Alfred Goldberg et al., Pentagon 9/11. Washington, DC: Defense Department, Office of the Secretary, Historical Office, 2007, p. 131. Air Threat Conference Call, Transcript. U.S. Department of Defense, September 11, 2001; "Testimony of U.S. Secretary of Defense Donald H. Rumsfeld Prepared for Delivery to the National Commission on Terrorist Attacks Upon the United States." 9/11 Commission, March 23, 2004; 9/11 Commission, The 9/11 Commission Report, pp. 326, 554; George W. Bush, Decision Points. New York: Crown, 2010, p. 133. John Farmer, The Ground Truth: The Untold Story of America Under Attack on 9/11. New York: Riverhead Books, 2009, p. 235. John Farmer et al., "A New Type of War: The Story of the FAA and NORAD Response to the September 11, 2001 Attacks." Rutgers Law Review, September 7, 2011. "Memorandum for the Record: Interview With CINC NORAD (Commander in Chief NORAD), General Edward 'Ed' Eberhart." 9/11 Commission, March 1, 2004. "Statement of General Richard Myers, USAF, Chairman Joint Chiefs of Staff, Before the National Commission on Terrorist Attacks Upon the United States." 9/11 Commission, June 17, 2004. Air Threat Conference Call, Transcript; "UA93 and Andrews Timeline." 9/11 Commission, n.d.
 "JITC EAM OT&E Support." Joint Interoperability Test Command, October 24, 2002; "CJCSI 5721.01E: The Defense Message System and Associated Legacy Message Processing Systems." Joint Chiefs of Staff, August 13, 2010. Air Threat Conference Call, Transcript. William M. Arkin, "The Beat Goes On." Nuclear Weapon Systems Sustainment Programs. 9/11 Commission, The 9/11 Commission Report, p. 458. Bill Kelly, "Rumsfeld Reflects on Offutt Air Force Base Role on 9/11."